TNGURU: CENTAC UG Courses 2018-19 Notification has been released. CENTAC UG Courses 2018-19 Notification has been released. 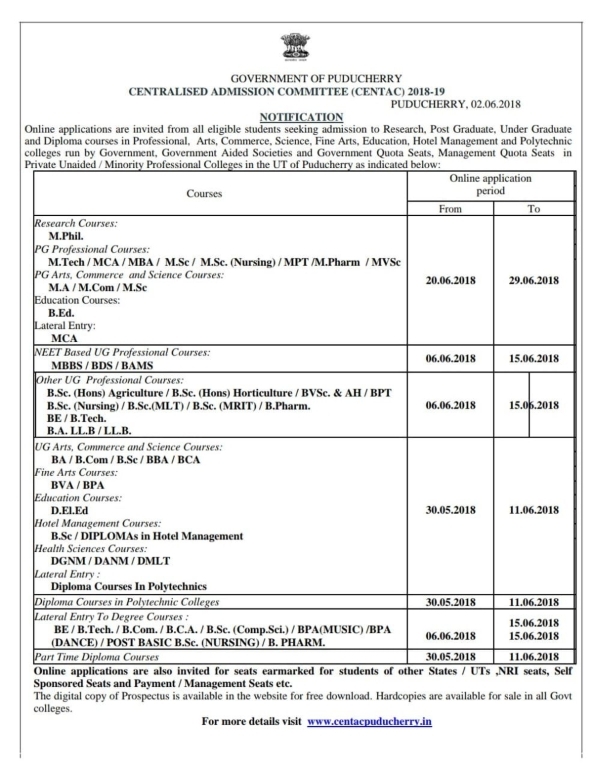 CENTAC (Centralized Admission Committee) UG Courses 2018-19 Notification has been released.